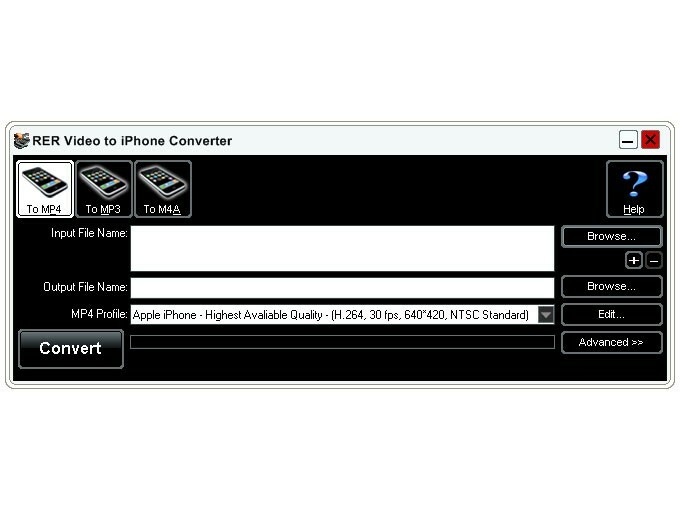 Convert video to iPhone audio using RER Video to iPhone Converter. Save audio streams as iPhone audio files. You can enjoy the easiest conversion process, cause the user-friendly interface and the logical procedures. Just one-click options you can finish your conversion. We respect your privacy. So we promise there are no spyware and adware in RER Video to iPhone Converter. You can get our e-mail support within 24 hours for free.